Made by the US Certified MIL Manufacturer, Commercial 550 7 strand parcord. Great for a variety of jobs, its lightweight and amazingly strong for its diameter. Tie-downs, shelters, tarp suspension lines, repairs, the range of uses are endless. 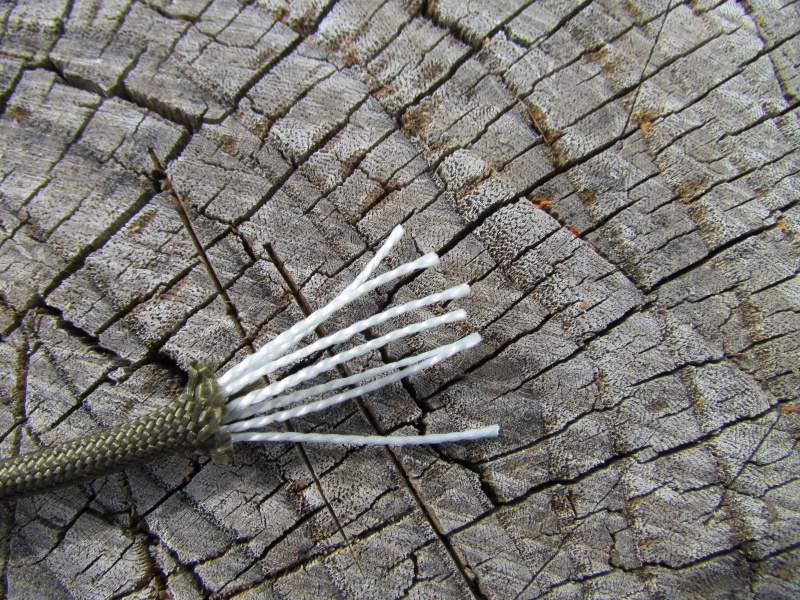 The 7 internal strands can also be used for emergency fishing, snares etc. really useful stuff! Be ware of cheap Chinese imitations (of which there are alot about), we source all ours from a certified source in the USA. This is the product that’s become very popular for many applications as it’s offered in several colors and has an approximate tensile of 550 lbs. 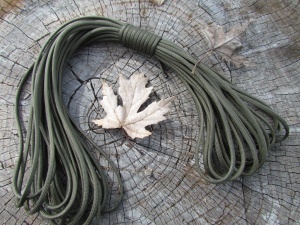 The cord is a “commercial” version of the real MIL-SPEC cord popular with the military. 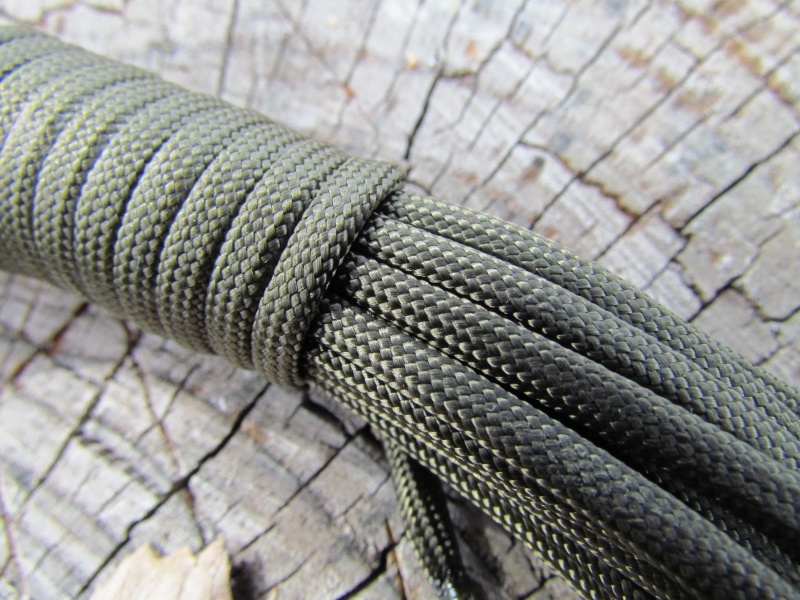 While the cover has the appearance of a PARALINE cord, the core is where the strength is. Seven (7) strands of twisted nylon fiber (mini-ropes) in the inner-core provide the strength and durability for this multi-purpose cord. It is designed for NON-CRITICAL general purpose applications where a greater strength and body are welcome. 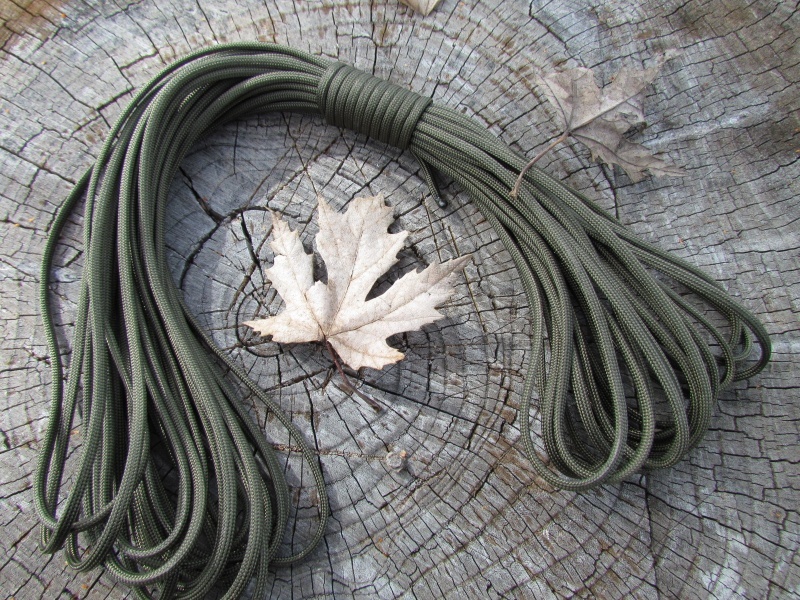 Purchase through PayPal by using the "Add To Cart" button above or use the form below to order the Paracord Commercial 550 OD Green 50 ft .
Feel free to contact us if you have any questions about the Paracord Commercial 550 OD Green 50 ft .